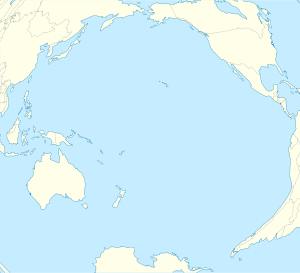 Jarvis Island (/ˈdʒɑrvɨs/; formerly known as Bunker Island) is an uninhabited island owned by the United States. The small island is a part of the United States Minor Outlying Islands, a group of mostly uninhabited islands. ↑ "Jarvis Island" at CIA World Factbook; excerpt, "no indigenous inhabitants"; retrieved 2013-4-19. Jarvis Island Home Page Website with photos, weather, and more. Jarvis Island information website Has several photos of the old Millersville settlement, together with more modern photos of the island. WorldStatesmen Offers brief data on Jarvis island. U.S. Fish & Wildlife Service Jarvis Island National Wildlife Refuge The Jarvis Island refuge site. This page was last changed on 20 April 2013, at 14:59.